The Fakir Of Venice is a delayed film and was supposed to be the debut movie of actor FarhanAkhtar! Yes, it’s that old. Such films always come with a risk since they might seem dated. The Fakir Of Venice also does have a bit of a dated feel but thankfully, it makes for a nice decent watch. The film boasts of a great idea and has some nice and funny moments. Surprisingly, the film also scores in the emotional scenes. Farhan Akthar looks quite young, as expected, and reminds of his appearance in Rock On and Luck By Chance. He looks great for his part and performance-wise, he’s first rate. The role has several shades and he plays it with finesse, which is great, considering that this was his first ever film. Annu Kapoor however steals the show. His character is very well thought of and Annu takes it to another level. He’s damn funny but in some scenes, your heart goes out to him. From the supporting cast, Valentina Carnelutti is too good. Jhilmil Hazrika looks every inch a slumdweller. Kamal Sidhu is sadly wasted. 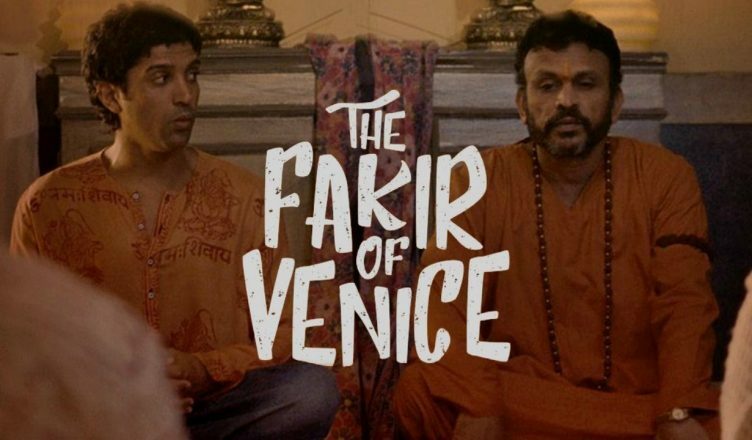 All in all, The Fakir Of Venice is a nice timepass film and although it won’t find audiences in cinemas, it should do well on web streaming platform. P.S. : Dialogues are heavily censored. I hope an uncut version is streamed online. My rating – *** out of 5!